This privileged spot for your 2.5-hour rock climbing tour offers a wide range of difficulties and has amazing views of the Kangia Icefjord and is famous for its icebergs. The mixed climbing route is always guaranteed fun for all skill levels and offers spectacular views of Ilulissat and Disko Island. To guarantee the safety and quality of the session, every activity is limited to 3 people per guide. We teach you the basic techniques and the safety protocols for climbing. 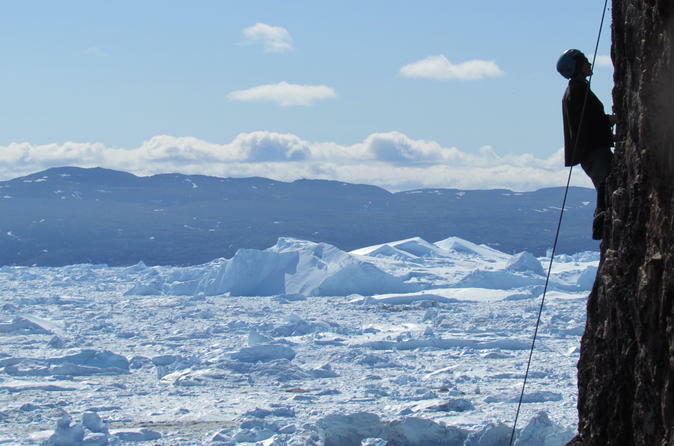 We also provide all the equipment that is required so you have nothing to worry about and everything to enjoy on this unique activity in Ilulissat. Directly from the charming historic center of Ilulissat, Greenland offers the possibility to do an activity that embraces all the wonders from this destination. 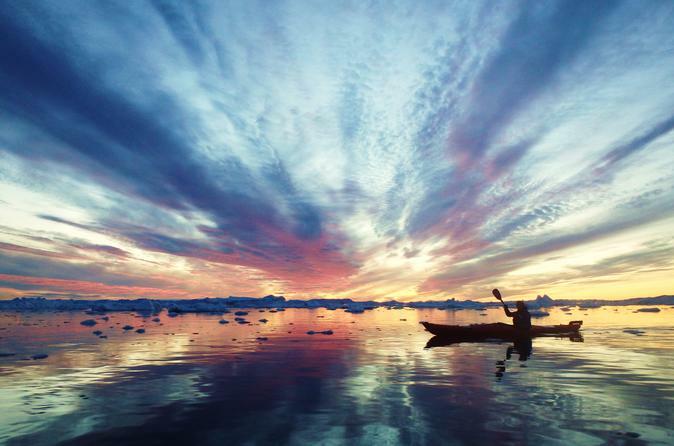 In our Midnight Sun Kayaking you will paddle in a kayak (a Greenlandic typical mean of transport) while you witness the overwhelming beauty of icebergs coming from the Ilulissat Icefjord (UNESCO World Heritage Site). If that were not enough, you will do it under the light of the Midnight Sun, a natural phenomenon that only occurs above the Arctic Circle during summer. Do you want to experience the Greenland’s spectacular nature out of the tourist marked circuits? Join us and enjoy the most exclusive views of the Kangia and the Ice Cap all along an exciting route that navigates among lakes, mountains and dramatic cliffs. With this exclusive hike you have the chance to spot arctic wildlife! 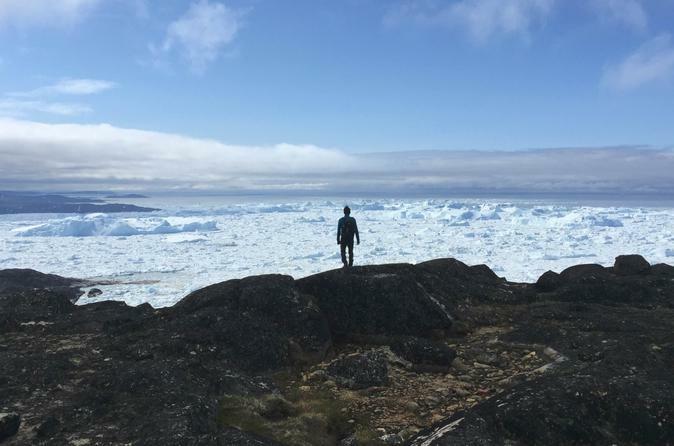 Take part in this 7-hour adventure in Greenland, where you get to experience the Arctic natural scenery and Inuit heritage all in the same day. 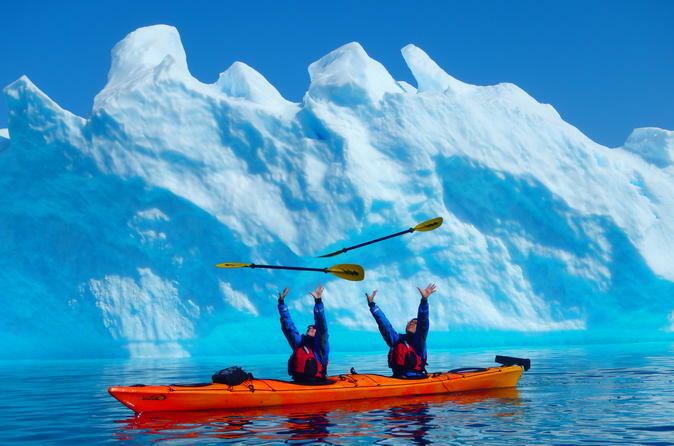 Paddle among icebergs on a kayak, a traditional mean of transport, and explore an authentic Inuit village. Find delight in an authentic Greenlandic meal and take a trip under the rays of the midnight sun along Disko Bay. Are you looking for an exciting and active day in Ilulissat? 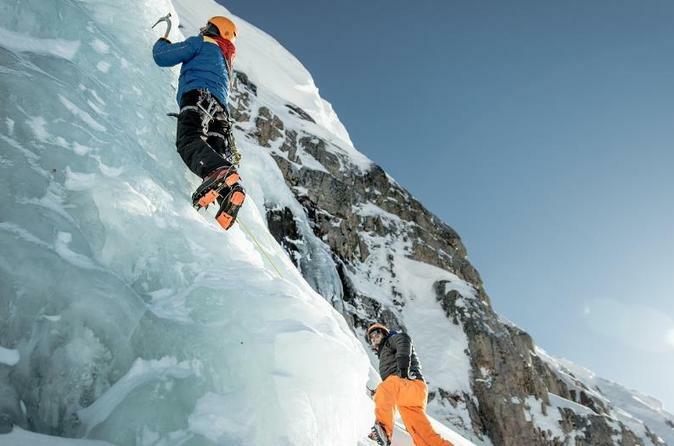 Take the challenge of climbing the vertical ice! Holding your weight on crampons and swinging the ice tools, this is by far one of the wildest ways to enjoy Greenland. Nonetheless this activity has utmost safety standards and very experienced guides.